“I fell in love with glass as a medium to express my love and connection to nature. When I approach glass in its fluid state, I feel as if this connection is enhanced. Tuning into this sacred space, allows me to understand the link between the earth elements and my own. Glass is not only a material, it is matter, living its own life, a powerful medium of communication. It is both beautiful and treacherous. It lends itself to metaphor because it can imitate some things, such as Water, Magma, Stone and suggests other things like Air and Light. It is poetry. Daniel Moe was born in St. Paul, Minnesota in 1967. 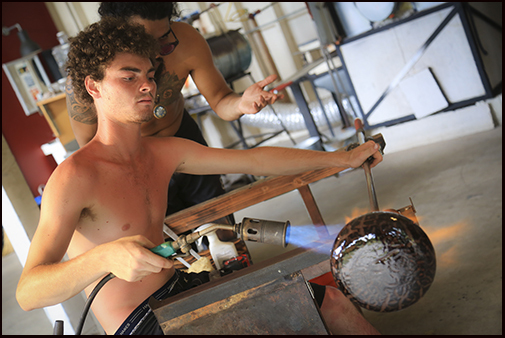 He received his Fine Arts degree in Hot Glass from The University of Wisconsin in 1991. 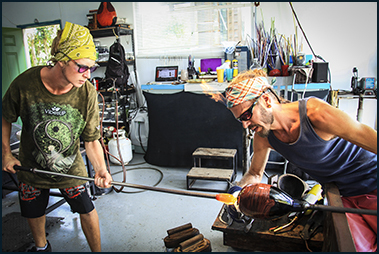 Being drawn by a powerful calling from the Big Island of Hawaii in 1999 was a key factor to further expand his connection to Mother Earth with his creative glass work. 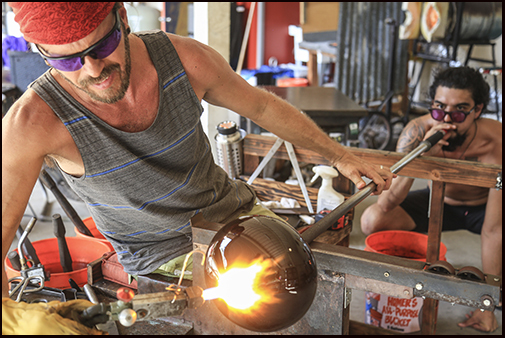 He currently lives and works in Puna, where he gets his inspiration from living with the volcano Kilauea just a few miles away from his home/studio. The Puna region is also known for its dramatic ocean waters. Waves eternally and passionately crash on the breathtaking lava cliffs moving Daniel to give birth to his ocean wave series. Daniel finds tremendous support in integrating his creative energy through the daily practice of Kundalini yoga, which he claims keeps him disciplined, young and excited about life. Just recently, in 2018, Daniel lost his son after a very traumatic birth. A major life quaking event that changed the way he looks and experiences life in a very dramatic way. He gives thanks for the positive impact of his brothers from the Mankind Project, the extraordinary support and love from his wife, and the driving force of his two daughters. All of these being pivotal to the ongoing transformation and maturity of his glass work. 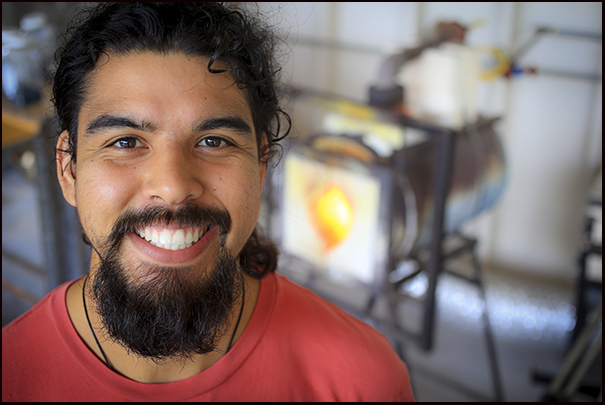 Although Nature is what inspires him the most, Daniel is constantly pushing his own comfort zone by learning/assisting with other glass artists and by taking part in stimulating glass programs at Pilchuck School . His main influences and some of the people who he has worked with are Karen Willenbrink, Benjamin Moore, Martin Blank, Pino Signoretto, Jacqueline Spiro, Jan Erick Ritzman, Lino Tagliapietra, Ed & Elena Schmidd, William Morris and others. Maria was born in Caracas, Venezuela in 1977. She lived there until 2001 when she moved to the United States. 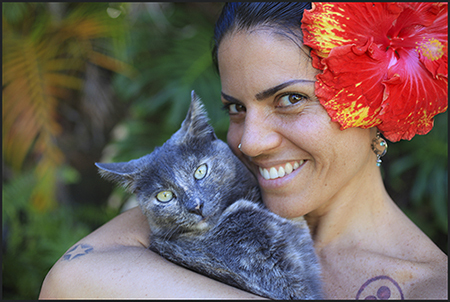 Residing in Hawaii since 2008, she works as a Professional Massage Therapist, Photographer and is the business manager of her husband’s business, Moe Hot Glass. There, Maria is the heart that keeps everything running behind the scenes. Her contribution to the team extends to web design, photography, writing, bookkeeping, inventory keeper and marketing. She is also the primary aesthetic consultant whenever she walks into the studio during the process of the creation of a new glass art piece. 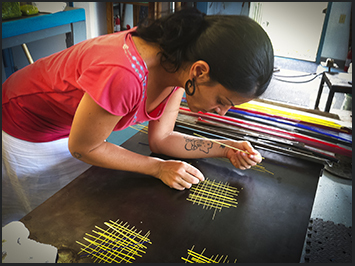 She is keen with colors, ideas and forms, and is intimately involved in the glass designs. Maria’s has many virtues including the ability to recognize what is needed in the moment, and spontaneously developing effective strategies to achieve the desired outcome. She is very focused, determined, and rarely interrupts her own process until she has reached it’s completion. Nils was born in Germany in 1997 and has been living in Hawaii since 2004. 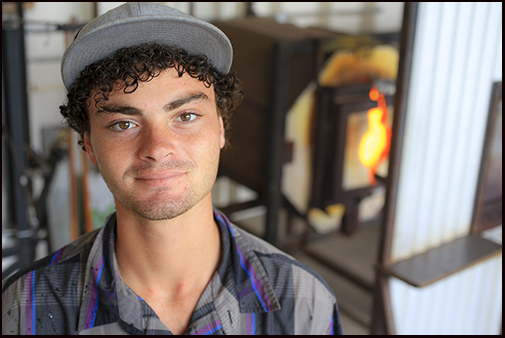 Being Daniel Moe’s apprentice has been an eye opening experience for him. This young man started from the very basics, sweeping the floors, opening and closing the glory hole doors and guarding Daniel’s hands from the intense heat of the glass. Two years later he’s made a lot of progress and a bridge of trust has been developed as he becomes more keen and adept with his skills. 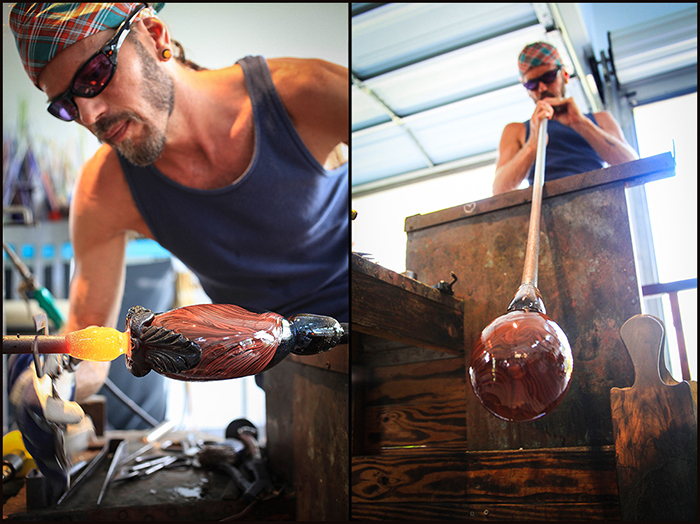 He’s been tapping into a new love, “Glass”, and this is something that keeps him excited and motivated. Nils is also a talented juggler. He currently participates in one of the best Circus Schools for youth in Hawaii, the “Hiccup Circus”. This training has been key to develop a sense of teamwork, dedication and a great sense of humor. Julius was born in Lima, Peru in 1991 and has been living in Hawaii from a young age. He loves spending time in nature, surfing, skating, diving, as well cross country running and martial arts. In 2013, Julius graduated from University of Hawaii Manoa with a degree in Plant Biotechnology. 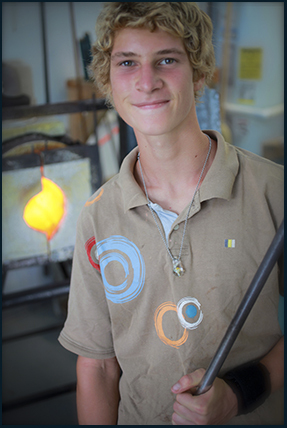 He was fortunate enough to discover glassblowing on his last semester, spending almost every waking hour at the shop. The pure excitement of working with a medium so responsive, fluid, complex and simple, soon blossomed into passion. A fire that would keep burning on. Summer was born in Rescue, California in 1988. 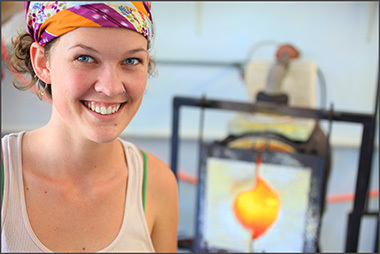 Moving to Kauai at the age of 11 was the foundation for her to discover her passion for glass. Being “home schooled” gave her a lot of freedom and was the key for her to find her own calling. At the age of 14 she had already made her first “glass bead”. That set the stage for her to fall in love with this art, the glass art. She’s started apprenticing with Daniel at the age of 21 and as she became more experienced she became his assistant. Besides being part of our team, Summer has a small online business where she offers her glass jewelry and crafts. Amanda was born in Panama in 1980, where she lived until the age of 8. From there she moved to Micronesia, then Hawaii and most recently, to Tahoe. Her inspiration comes as she embraces the natural world, which are the elements that gives essence and freedom of expression to her artwork. 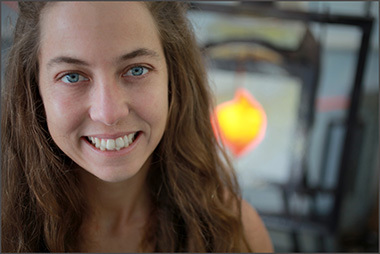 Amanda went to Pilchuck Glass School where she studied under Roger Parramore, Karen Willenbrink, Brian Krikvliet and Nancy Nagel .